The Standard American Diet (SAD) has been adopted by most of the industrialized world, and to its detriment. We’ve been able to see first-hand how health and vitality changes when people begin to choose the foods commonly found in the American grocery store. So far, the results aren’t good. Let’s take a look at some of them to help you make the big switch to a healthier diet. Industrial food production — an unfortunate standard of the American diet — necessitates that certain nutrients be destroyed to let food be mass manufactured and stored. Enzymes, healthy fats, and fragile vitamins are the first to go. But we need these elements to help our bodies thrive! The enzymes that get destroyed help the body digest foods properly. They release nutrients and encourage the proper production of stomach acid and bile. The low fat craze, which was once a staple part of the SAD, caused two problems. First, by cutting fat, sugar use surged without decreasing the intake of animal products. That created a spike in diabetes. Sugar is shelf-stable, where healthy fats are not. The second problem was the substitute for unhealthy fats. People added more margarine and artificial fats to their diets instead of the healthy, natural fats that have vitamins and minerals. These “bad fats” cause inflammation and atherosclerosis. Removing healthy fats caused the CoQ10 fat, in particular, to be removed. This particular fat helps the heart beat properly, lowers blood pressure, and helps keep the arteries flexible. The obesity epidemic is becoming one of the worst problems in the world. Nutrient deficient fast food and processed foods have replaced fresh fruits and vegetables. To get the required nutrients to continue living life, the body craves more and more food. This processed food is filled with sugars and chemicals. To deal with all the excess sugars, the body stores it away as fat. The more sugars, the bigger the waistline. 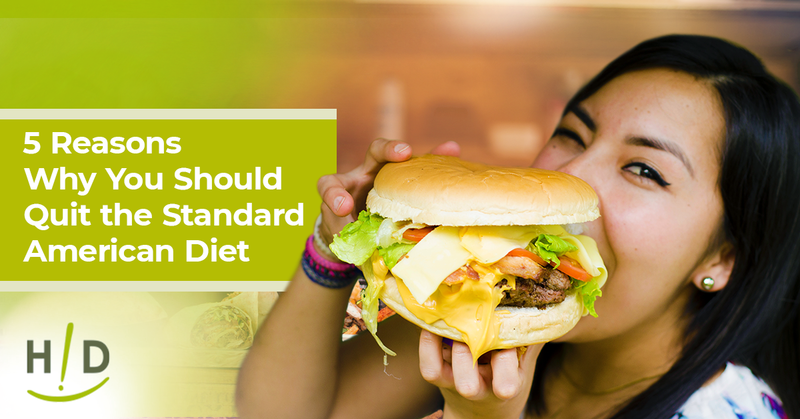 Most diets fail because people don’t get enough healthy foods to meet their nutritional requirements. People starve and then overeat. On top of that, people often turn to more restricted food, especially nutrient devoid processed food that “promises” to help reduce weight. Chemicals are great for some things, like creating robust flavors, exotic tastes, and bright colors, and making food last longer. Natural food doesn’t look like that or last that long. 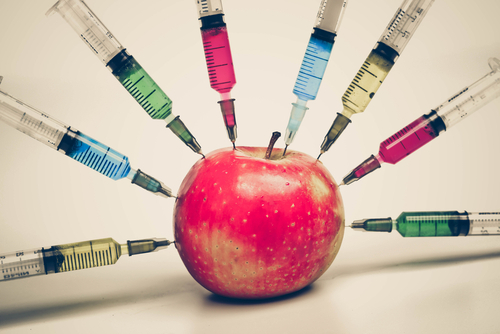 A mass-produced commercial apple has over 10 different chemicals — mostly pesticides designed to kill living things. But an unfortunate byproduct of this is how these chemicals affect our bodies. Some take the place of our natural hormones, interrupting natural function. Some cause problems, like damaging our DNA and causing cancer. Nearly half of all preservatives in food are classified as carcinogens. Our body has natural ways to get rid of the chemicals. It can detox them, which uses up precious vitamins and minerals or stores them in fat cells to deal with later. At best, these chemicals make us fat, and at worse, they could kill us. That disconnected feeling, like you’re wading through mud… that’s brain fog. It creeps up on you and disrupts your life. 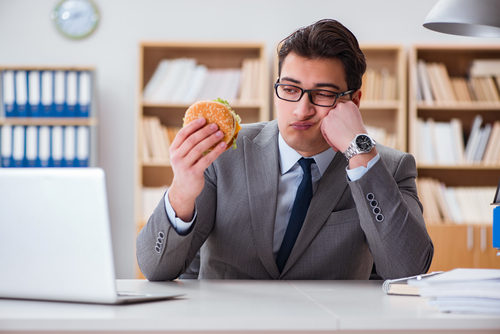 A poor diet causes brain fog in three different ways. Too Much Sugar — When we eat sugar, we experience a happy jolt of energy. When that wears off, we crash. Fatigue and lethargy set in as we lack the sugar for energy. The high sugar artificially suppresses serotonin, which means you feel dull and sad when the sugar rush wears off. Too Many Chemicals — Preservatives and artificial colors interrupt the neurotransmitters in your brain. Without these, you have difficulty thinking and processing information. Even worse, these chemicals can destroy nerve cells in the brain and cause other diseases. Not Enough Nutrition — If you don’t have the right vitamins to create the neurotransmitters in your brain, they don’t work. The brain needs lots of B vitamins, magnesium, and trace minerals. These vitamins and minerals are missing in processed food because they cause the food to break down after a short time. Healthy nutrients stimulate the body to create energy and build healthy tissues. Many of the chemicals in processed foods are carcinogens. The higher the amount of sugar in the Standard American Diet encourages cancer growth. Cancer relies on high amounts of sugar to fuel growth. Cancer is also linked to obesity. The lack of exercise contributes to obesity, and a lack of activity causes the lymphatic system to stagnate. The lymphatic system helps clear out colds and flu and moves the immune system around the body. If the immune system stagnates, it can’t destroy errant cancer cells. The Standard American Diet hurts people, even as it’s seen as a sign of success. The real diet people should use to be healthy revolves around healthy fruits and vegetables. I’m learning how deficiencies can contribute toward disease. SAD food has too much calories and too little nutrition. Feeling dull and sad after the sugar wears off is not worth eating it. What we put into our bodies does matter. I read some research that if a local grocery store removed ALL products that contain SUGAR, only approximately 20% of products would remain!!!! Sad, so very sad! These are great reasons to quit the SAD diet and never look back. It is sad that most of my generation only know about the SAD diet. Thank you for being a voice to help teach people the right way to eat.